Coach Siler was referring to the highly competitive MIAA A Conference and might as well have been referring to the entire metro area for that matter. 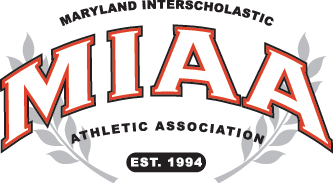 As of the start of April, there is no one dominant team as Curley was a year ago in the entire metro area on the way to its banner 28-4 campaign and the MIAA A Conference crown. This year’s A Conference is wide open. VSN’s No. 9 ranked Gilman (10-4), at 5-0, shares the top spot in the conference with No. 4 Calvert Hall (9-2, 3-0) and surprising No. 20 Mount St. Joseph (6-2, 4-1). Right behind are No. 2 Archbishop Spalding (6-3, 2-2), No. 5 John Carroll (8-2) and McDonogh (5-5) at 2-2 each, while No. 6 Curley (4-4) is 3-3 in the league. Six of the nine A Conference teams will qualify for the post season double-elimination tournament. Coming off its finest season in school history at 20-6 and its highest ever rankings at No. 1 before finishing at No. 5 in 2018, John Carroll is there again and Tuesday’s big win at Curley is what it takes to do so. Winning on the road over one of the top teams in the conference is big. And getting a big day from your lineup and starting pitcher are the ingredients to do so. The Patriots unleashed a 12-hit attack against four Curley hurlers with junior DH/cleanup hitter Tyler Leach the big bopper. Leach went 4-for-5 with a two-run dinger and three RBI’s as the Pats had at least one hit in every inning except the sixth. The fourth inning proved to be the biggest frame for the visitors as they tallied four runs on three hits, including a two-run knock by Matt Gonzalez Rodriguez. John Carroll left two men aboard or the inning would have been even bigger as would have the second stanza when it scored twice before leaving the sacks full against starter and loser Jake Michel. John Carroll’s No. 9 hitter, Johnny Gallant chipped in with two hits and an RBI as did leadoff batter Sean Fasano at the top of the order. Right-hander Ryan Ishak was the recipient of the offensive support working the first five innings for John Carroll. Ishak only gave up four hits and one run, that coming on a booming dinger over the centerfield fence by the Friars’ No. 3 hitter and third baseman Tyler Locklear. It was Locklear’s 19th career homer but just his first this season. Tyler Locklear hit his third home run of the season for Curley is batting .500 in 2019. Locklear, who is headed to VCU on an athletic/academic (3.8 GPA) scholarship, is batting around .500 for the Friars and hitting more line drives rather than getting the ball up. He hit two dingers as a freshman, six as a sophomore and 10 last spring for the A Conference champs. Ishak struck out two, walked a batter and plucked two more before giving way to Brandon Crews. Crews finished up yielding two runs, three hits, did not walk a batter and walked one. Derrick Booker greeted Crews by going deep leading off the bottom of the sixth and Colton Knoble’s second single of the game scored Dorian Allen who led off the bottom of the seventh with a two-bagger. 2B: JC—Stelio Stakias; AC–Tyler Locklear and Dorian Allen. HR: AC–Locklear and Derrick Booker; JC – Tyler Leach.